"I can't say enough about Keri and KP Spaces. We found her as we were getting ready to refresh our home of 24 years. We have a lot of "stuff", we needed to update and eventually we knew we needed to do a total kitchen remodel as well. We started with the main floor refresh which included a powder room remodel. She came up with the perfect plan and found the most beautiful tile for the wall behind the sink. Everyone comments on it. Gorgeous. Then it was on to paint, carpet and furniture. She honored pieces that I already had while helping me to fill in with pieces that would provide a new look. We edited down all the "stuff". Walls are now breathing in places, cherished treasures from our travels are highlighted. The family photo wall in the den is just perfect. Onto the kitchen last spring. We knew the look we wanted and we found the perfect granite for the counters and tile for the floors. The cabinets are light and bright. The lights Keri found for me are outstanding and so different. No cookie cutter for me. The best thing though about Keri is that she is truly a wonderful person. She really cares about her clients and listens carefully to what they envision. She is not offended when you don't like something and is not intimidating at all. And she is just so nice! I need to find more projects!" "Keri did an awesome job helping us update our kitchen. She was very easy to work with: she was always on time to appointments, gave us plenty of design options, and didn't get annoyed when we asked her a bazillion questions. We love how our kitchen turned out and plan to hire Keri for future projects. We highly recommend Kp Spaces!" "Keri Petersen of KP Spaces is nothing short of amazing. She took what was an awkward space in our home and transformed it into my favorite hang-out space. Keri selected furnishings, artwork, rugs, and accessories that fit our design sensibility and the style of our home. Keri is resourceful, creative, and has incredible taste. Not to mention, she may be the kindest person you will ever meet. Hire Keri. You won't regret it!!" 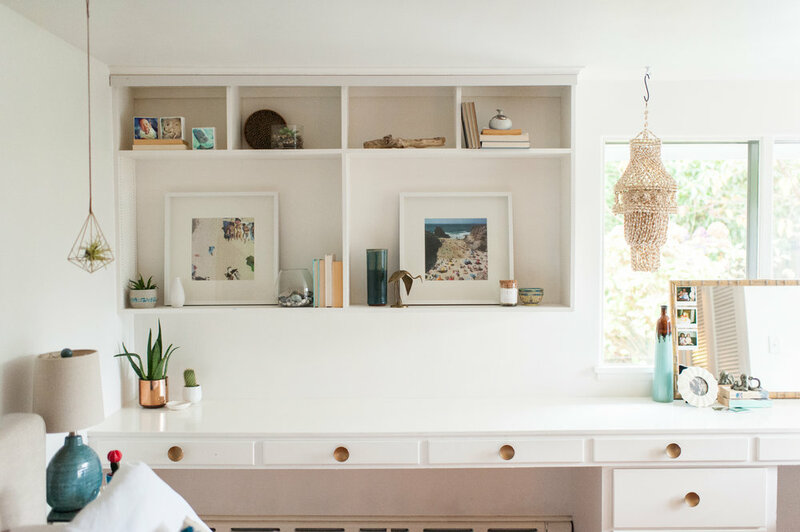 "Keri transformed our tired 1935 home into the updated, bright and comfortable space we wanted. She is an excellent listener and quickly zeroed in on our style. She saved me hundreds of hours by finding the perfect paint, lighting, and window treatments. Keri improved the layout and selected new furniture to complement items we chose to keep. Keri designed the master bath of our dreams in our new addition and guided us in the selection of all the materials (tile, flooring, furniture, fixtures and lighting). She is the perfect mix of impeccable style, creativity, motivation and resourcefulness. We have a long list of future projects we can't wait to get started on with Keri!" Keri has been integral in our kitchen remodel. This is an entire gut job, and from the beginning she has been available and responsive. I appreciate that she sourced all the materials and brought samples to our house for us to decide. I had a general idea of the feel I wanted and working with Keri brought that to life. A week before we ordered cabinets my husband and I made a last minute change in color theme and Keri was e-mailing us real time to make sure our questions were answered. I completely trust her taste and am very happy we hired her. I have worked with Keri for years and she is always professional, on time and has an amazing talent for staging. As a real estate broker - I heavily rely on her ability to make my clients homes show the best they can - and she consistantly provides results that both me and my clients are happy with...thanks KP Spaces !